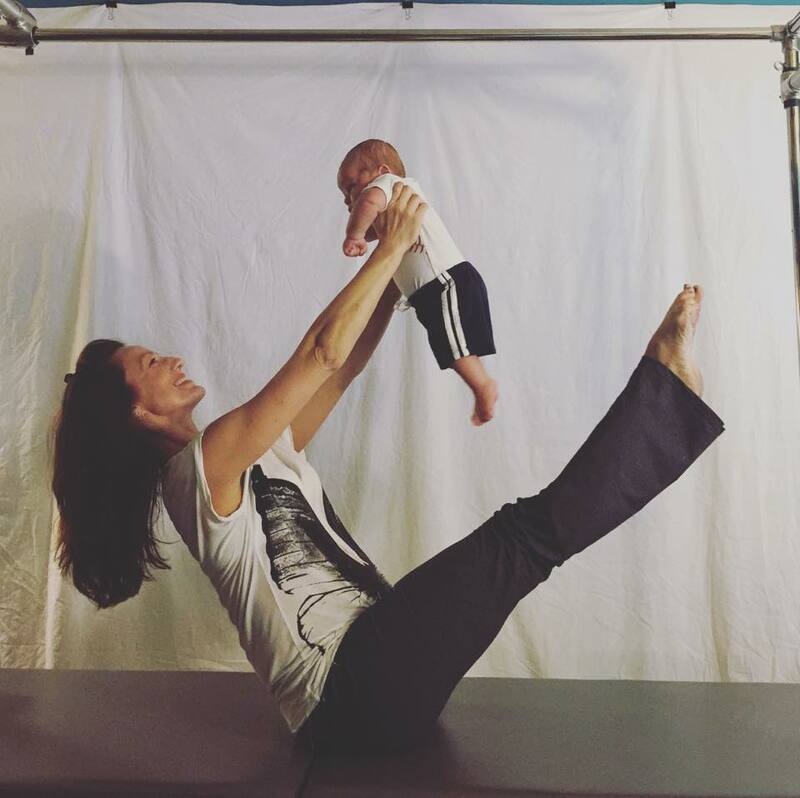 Pregnancy Pilates is a specialty of the Pilates method during and after pregnancy designed with specific exercises to carry a woman through her pregnancy, prepare her for delivery (known as D-Day), and help her to recover as she enters the physical and emotional demands of motherhood. What is Your Pregnant Core? I recently changed the name of this blog from Hug the Baby to Your Pregnant Core. Hug the Baby is a term I use to describe belly to spine with pregnant women. Click here to read more about Hug the Baby Your Pregnant Core is just that: your core (or someone else’s) that is pregnant. The pregnant body is flooded with a variety of hormones that drastically change the way the body functions, ultimately affecting the way a woman moves and feels. Estrogen, Progesterone and Relaxin work in sync to loosen joints and ligaments, relax the smooth muscles, such as the uterus, and increase blood flow to the pelvic area, all to accommodate for the woman’s rapidly changing and growing body, to support the growing fetus, and ultimately in preparation for the birth. Relief from pregnancy induced back pain – pelvic floor and core strength help to support mom as her baby grows. Easier birth due to the strength of the core muscles necessary to assist in a vaginal birth. Quicker recovery time – Trained muscles bounce back much quicker then untrained muscles. Pilates assists in repairing the abdominal wall and pelvic muscles that have been stretched and strained. Promote blood flow to the uterus benefiting the fetus, where as other forms of exercise tend to direct blood flow away from the uterus to the outer extremities causing stress to the fetus. Relaxation and Stress Relief which is crucial during pregnancy. Due to higher cortisol levels, which rise during pregnancy, mom tends to experience stress at a higher level. Deep breathing has been known to reduce cortisol levels. Enhanced feelings of well-being as the natural endorphins are released during and after a Pilates session. Also, less likely to feel insecure about weight gain. Increased Energy Levels – fatigue is a common side effect of pregnancy. As with exercise in general, the mind and body will feel less fatigued when it is consistently engaging in an exercise routine. Pregnancy should be a wondrous time in a woman’s life. Practicing Pilates will give her the mind and body necessary to allow focus to be on herself and her growing family.